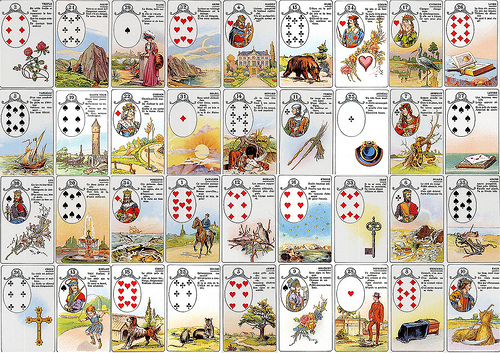 What follows are basic guidelines on how to read with the Petit Jeu Lenormand. First off, if you don’t have a Lenormand Deck already, I highly recommend the Blue Owl . It is a gorgeous deck, and it will serve you well in your studies..!